If you’re in need of a Gold Coast babysitter, we would love to help you out! Whether you need a babysitter in your home or hotel and no matter where you are on the Gold Coast, we are the ones to look after your children. Any age, any personality, anything you need. Give us a call today – a romantic dinner awaits. BOUNCEinc – an indoor trampoline paradise where kids can bounce off the walls and spend hours flying through the air. Craft Parlour is an interactive workshop style room where children go to create everything from macrame to clothes. Currumbin Wildlife Sanctuary boasts abundant animals for the kids to marvel over and feed. There’s so much to see and do and if you’re still stuck – give us a call and we’ll take the kids off your hands for hte day! 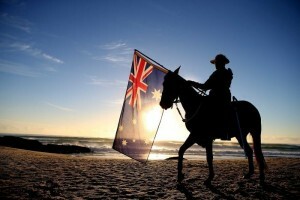 This weekend is ANZAC Day, a day on which we remember those soldiers who fought in World War 1 for our country. On ANZAC Day we gather and pay our respects to those who gave their lives. With services across the Gold Coast throughout the day, there are multiple opportunities to join the community events. We are so lucky to do the job we do! As Gold Coast babysitters, we absolutely love children and all they bring to the world. They are fun, interesting and know how to have fun. It is such a thrill to be able to spend time with little people who are so excited to learn and experience everything in the world. It’s a privilege to spend time with your children, thank so much for choosing us to look after them. It’s almost that time of year again when we celebrate the amazing ladies in our lives – our mums! That’s right Mothers Day is just around the corner and we’ve rounded up some of the best things to do on the Coast. Movies mums thing? Shout her a trip to something she’ll love. There’s plenty to do so get out and enjoy the day with your mum. From our family to yours, have a safe and happy Easter and enjoy a few days off with your loved ones. Don’t forget to contact us if you need a last minute babysitter!